Once Again No Response to Higher Than Recommended Seeding/N Rates for Grain Corn in NY in 2015. Why???? 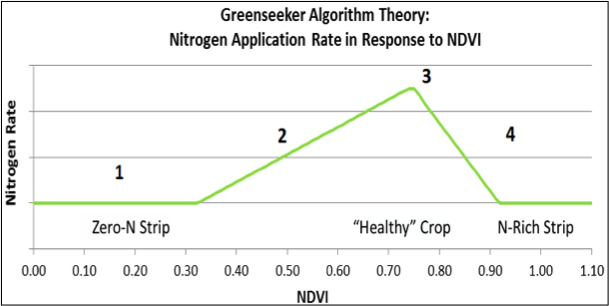 The corn stalk nitrate test (CSNT) is an end-of-season evaluation tool for nitrogen (N) management for 2nd or higher year corn fields. The greatest benefit of this test is that it allows for evaluation and fine-tuning of N management for individual fields over time. Corn stalk nitrate test results >2000 ppm indicate there was significantly more N available during the growing season than the crop needed. It does, however, require multiple years of testing to gain experience with on-farm interpretation. 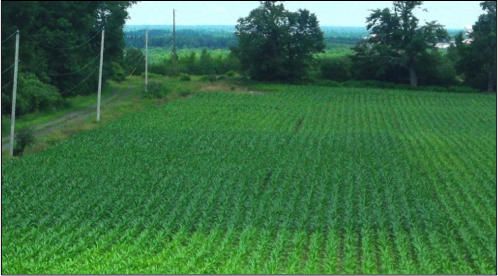 In addition, within-field spatial variability can be considerable in New York, requiring (1) high density sampling (1 stalk per acre at a minimum) for accurate assessment of whole fields, or (2) targeted sampling based on yield zones, elevations, or soil management units. The summary of CSNT results for the past nine years is shown in Table 1. Data prior to 2013 reflect submissions to the NMSP only. In the 2013 and 2015 growing season, the CSNT results from the NMSP, DairyOne, and CNAL were summarized to obtain a distribution of CSNT categories in New York State. A continued quality control program among the three laboratories showed excellent consistency in reported data. For 2015, this summary shows that about 24% of all tested fields were over the 2000 ppm range, while 16% were over 3000 ppm and 6% exceeded 5000 ppm. In contrast, 37% of the 2015 samples tested low in CSNT. Crop history, manure history, other N inputs, soil type, and growing conditions all impact CSNT results, and crop management records that include these pieces of information can be used to evaluate CSNT results and determine where changes can be made. Weed pressure, disease pressure, lack of moisture in the root zone in drought years, lack of oxygen in the root zone due to excessive rain (anaerobic soil conditions), and other stress factors can impact the N status of the crop as well, so in some circumstances, additional N might not have been able to overcome the real reason for the low CSNTs (e.g. no amount of N fertilizer can make up for a drought). Work is ongoing within the NMSP to develop plant-based stress indicators that can help us identify when CSNT’s are low due to a lack of N versus where other stress factors existed. Photo: Spraying a pesticide at the R3 stage results in mechanical damage to soybeans, especially drilled soybeans in 7.5 inch rows. 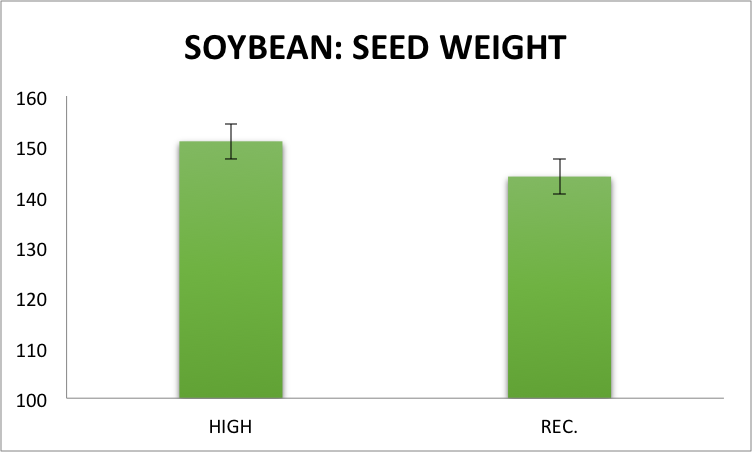 We have conducted numerous studies over the last 10 years on soybean seeding rates. In almost all instances, we rarely observed a response to rates above 150,000 seeds/acre (http://scs.cals.cornell.edu/sites/scs.cals.cornell.edu/files/shared/documents/wcu/Vol16No22006Mar-Apr.pdf; http://scs.cals.cornell.edu/sites/scs.cals.cornell.edu/files/shared/documents/wcu/WCUVol18No3_May-Jun2008-2.pdf; http://scs.cals.cornell.edu/sites/scs.cals.cornell.edu/files/shared/documents/wcu/wcu19-1.pdf; http://scs.cals.cornell.edu/sites/scs.cals.cornell.edu/files/shared/documents/wcu/WCU21-2.pdf; http://scs.cals.cornell.edu/sites/scs.cals.cornell.edu/files/shared/documents/wcu/WCU_vol22_no2.pdf). In 2015, we examined the response of soybean under high input management (~200,000 seeds/acre with a fungicide/insecticide seed treatment as well as a foliar fungicide, Priaxor, applied at 4 fluid oz. /acre on 7/31 at the R3 stage) compared with recommended input management (150,000 seeds/acre with a fungicide/insecticide seed treatment). This was part of a larger study comparing the response of all the crops in the corn-soybean-wheat/red clover rotation under conventional and organic cropping systems with recommended or high input management. We described this study in detail in a news article in the last What’s Cropping Up? issue of 2015 (http://blogs.cornell.edu/whatscroppingup/2015/11/09/soybean-yield-under-conventional-and-organic-cropping-systems-with-recommended-and-high-inputs-during-the-transition-year-to-organic/). In that article, we reported that soybean under high input management in the conventional cropping system yielded 48.6 bushels/acre, when averaged across three previous 2014 crops, compared with 44.7 bushels/acre under recommended management inputs. We did note in the previous article that despite the 9% yield increase, partial profit was not significantly different between the two treatments because the added input costs for seed and fungicide as well as the fungicide application cost offset the 3.9 bushel/acre increase for $8.50 soybeans. Still, why did we get a yield response to high input management in the conventional cropping system? Climatic conditions were exceedingly dry from the day of fungicide application through harvest (1.4 inches of precipitation in August and 1.35 inches from September 1-20). Consequently, visually discernible disease symptoms were absent on the visible portion of soybean foliage from the R3-R8 stage. Nevertheless, because we almost never observe a response to a seeding rate of 200,000 seeds/acre compared with 150,000 seeds/acre, we speculated that perhaps the fungicide and not the higher seeding rate provided the 9% yield increase. In addition to disease control, there is some speculation that a fungicide application may improve overall soybean health, independent of disease presence. Yield component analyses help explain why there was a yield response to high input management of soybean in the conventional cropping system in 2015. In each soybean plot (planted in 15-inch rows), we subsampled the four center rows in two 1 meter lengths (1.52 m2 area) about 5 days before the 9/23 soybean harvest of the entire plot with a plot combine. We hand-harvested all the plants in the sub-sampled area and dried them, pulled off the pods and counted them, ran the pods through a stationary thrasher, counted the seeds that were thrashed, and weighed all the seeds (~3500-4500 seeds/sample or ~7000-9000 seeds/plot). When averaged across the three previous crops of 2014, plant populations in the sub-sampled areas a few days before harvest averaged 41.7 plants/m2 (~169,000 plants/acre) in the high input management treatment compared with 31.1 plants/m2 (126,000 plants/acre) in the recommended management treatment (Fig.1). Our sub-sampled population was slightly lower than population measurements at the V2 stage in the high input management treatment (~174,000 plants/acre, http://blogs.cornell.edu/whatscroppingup/2015/09/16/emergence-early-v2-stage-plant-populations-and-weed-densities-r4-in-soybeans-under-conventional-and-organic-cropping-systems/). In contrast, our sub-sampled population in the recommended management input treatment was slightly higher than population measurements at the V2 stage (~122,000 plants/acre). Soybean populations of the subsampled regions immediately before harvest, however, are only 2.9 to 3.2% different than at the V2 stage so we believe that our sub-sampled measurements represent the entire plot extremely well. 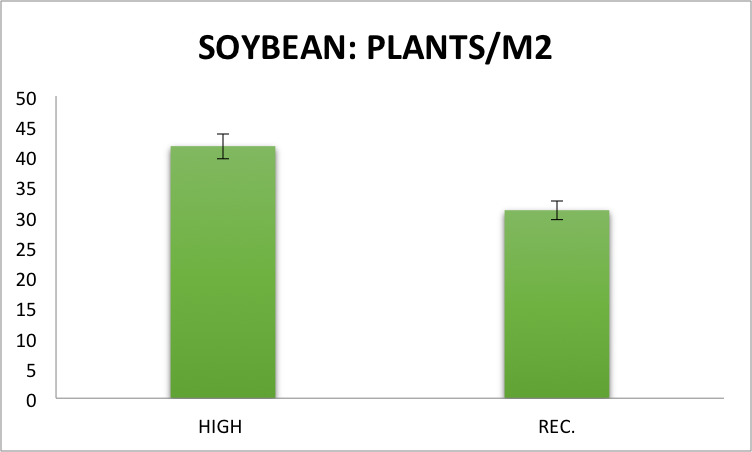 Fig.1 Plants/ m2 of soybean, averaged across the three previous 2014 crops, in two subsampled areas (1.52 m2) of each plot in the conventional cropping system under high management inputs (~200,000 seeds/acre with a fungicide application at the R3 stage) and recommended management inputs (~150,000 seeds/acre) at the Aurora Research Farm in 2015. Error bars represent the standard error of the means. When averaged across the three previous crops, soybean averaged fewer pods/plant in the high input management treatment (24.5 pods/plant in high input management compared with 35.1 in recommended input management) in the conventional cropping system (Fig.2). 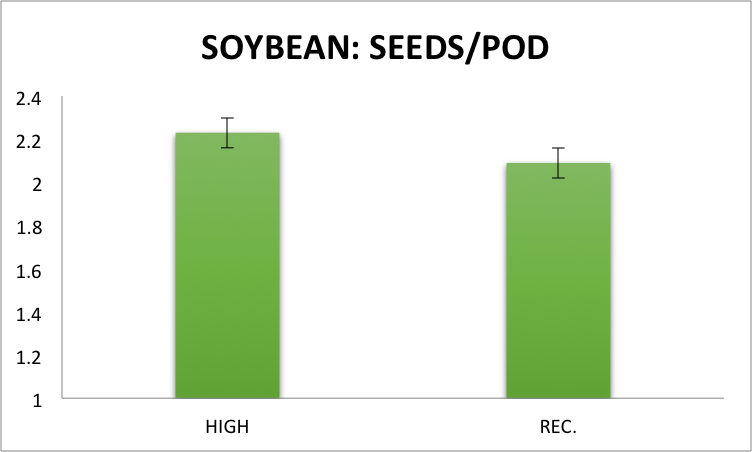 Typically, soybeans at higher compared with lower seeding rates produce fewer pods/plant because of less intra-plant competition for light, water, and nutrients. We have seen the same degree of reduction in pods/plant at 200,000 seeds/acre compared with 150,000 seeds/acre repeatedly in previous experiments at the Aurora Research Farm (file: aj-103-1-123.pdf; file: aj-102-4-1238.pdf). Fig.2 Pods/plant of soybean, averaged across the three previous 2014 crops, in two subsampled areas (1.52 m2) of each plot in the conventional cropping system under high management inputs (~200,000 seeds/acre with a fungicide application at the R3 stage) and recommended management inputs (~150,000 seeds/acre) at the Aurora Research Farm in 2015. Error bars represent the standard error of the means. Fig.3 Seeds/pod of soybean, averaged across the three previous 2014 crops, in two subsampled areas (1.52 m2) of each plot in the conventional cropping system under high management inputs (~200,000 seeds/acre with a fungicide application at the R3 stage) and recommended management inputs (~150,000 seeds/acre) at the Aurora Research Farm in 2015. Error bars represent the standard error of the means. Fig.4 Seed weight of soybean, averaged across the three previous 2014 crops, in two subsampled areas (1.52 m2) of each plot in the conventional cropping system under high management inputs (~200,000 seeds/acre with a fungicide application at the R3 stage) and recommended management inputs (~150,000 seeds/acre) at the Aurora Research Farm in 2015. Error bars represent the standard error of the means. If you multiply out the yield components (plants/m2 x pods/plant x seeds/pods x seed weight), the sub-sample yields averaged 51.1 bushels/acre in the high input management compared with 49.0 bushels/acre in the recommended input management treatments. The sub-sample yields were ~5-10% greater than the actual plot yields, and the difference in yield between treatments was only 4.3% instead of the 9% difference in plot yields. 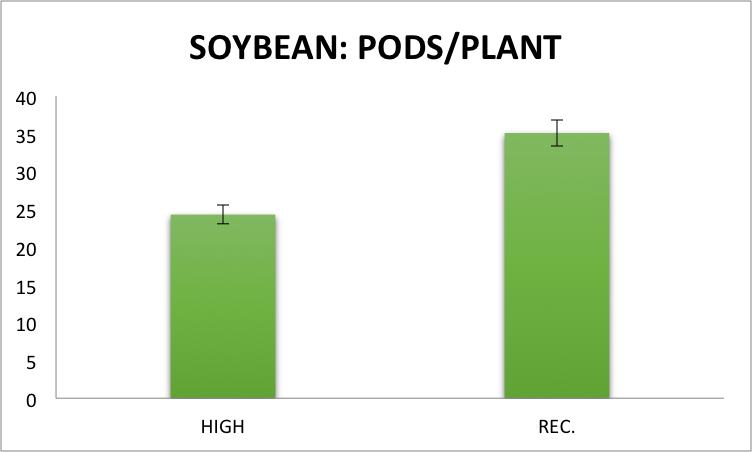 Nevertheless, we feel that the sub-sampled data provide us with insight on how soybean responded to high input management (fewer pods/plant with higher seeding rates and more seeds/pod and seed weight perhaps because of the fungicide application?). We will continue this study for two additional years to see if there is indeed a response to fungicide application in the presence of high seeding rates. Currently, it is pure speculation that a fungicide application at the R3 stage resulted in more seeds/pod and greater seed weight in soybean. Nevertheless, an increase in seeds/pod and seed weight would be the two most likely yield components that an R3 fungicide application would affect. As noted previously, the 9% yield advantage did not result in an increase in partial profit. Furthermore, we avoided the harvest rows when applying the fungicide application at the R3 stage. 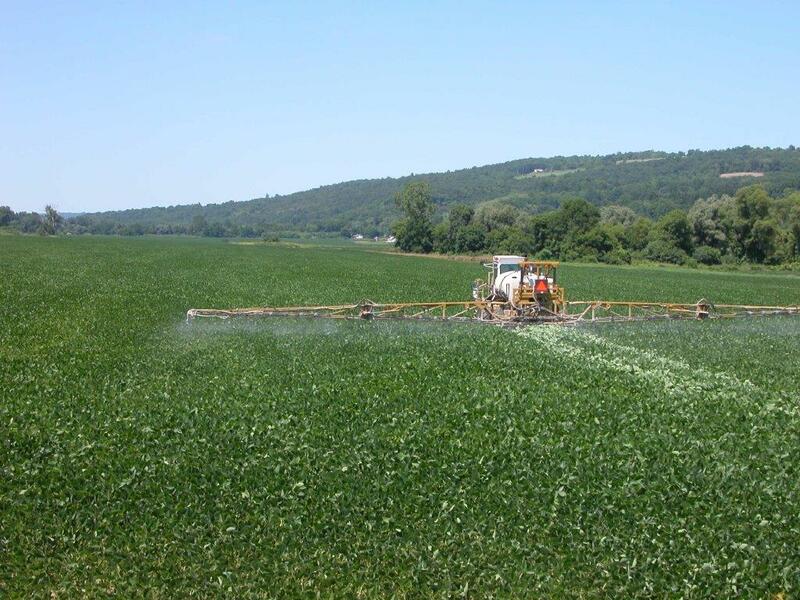 In a production field, an R3 fungicide application would probably result in some yield reduction, associated with mechanical damage of the crop, especially with spray booms less than 90-120 feet in width, reducing the magnitude of the potential yield response. We are looking forward to 2 more years of research on this topic. Comments Off on Once Again No Response to Higher Than Recommended Seeding/N Rates for Grain Corn in NY in 2015. Why???? 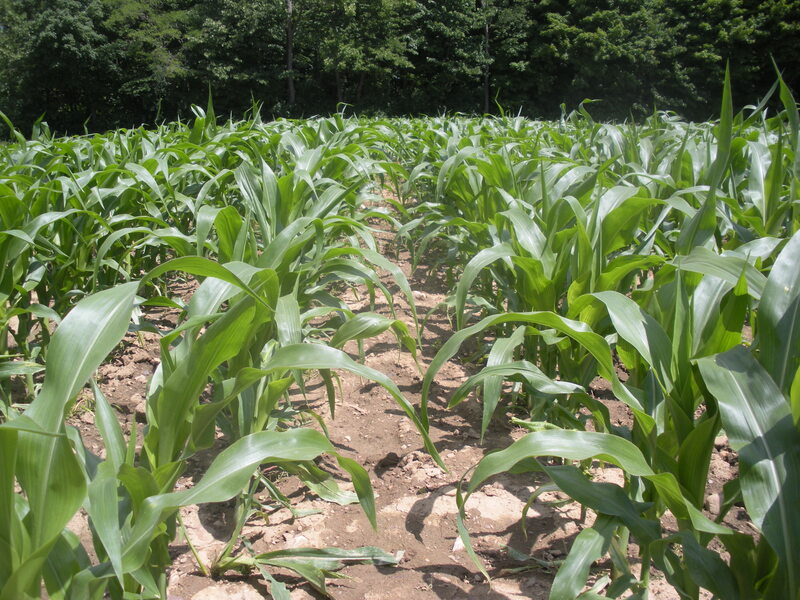 Photo: Corn under high seeding rates in 2015. It has been documented that current commercial corn hybrids require greater seeding and N rates to maximize grain yield compared with hybrids released in the 1990s, or even in the early to mid-2000s. Seeding rates are frequently based on yield goal, so optimum seeding rates are ~38,500 kernels/acre for high-yielding current hybrids (>250 bushels/acre) under growing conditions in the Midwest USA. Consequently, an increasing number of grain growers in the Midwest are planting at seeding rates greater than 35,000 kernels/acre. In NY, our yield goal is lower but an increasing number of growers who average 190-220 bushels/acre on their farm are planting corn at ~35,000 kernels/acre, greater than our recommended ~30,000 kernels/acre. In addition, there is a general perception that in order to maximize yield from these high-yielding hybrids, higher N rates are also required, despite the greater N use efficiency of current hybrids. We decided to once again examine the response of corn to higher than recommended seeding rates (~35,500 vs. ~29,600 kernels/acre, respectively) and N rates (185 vs.145 total N lbs/acre, respectively when corn followed corn or a small grain, and 145 vs. 105 total lbs N/acre when following soybean). This was part of a larger study comparing the response of all the crops in the corn-soybean-wheat/clover rotation under conventional and organic cropping systems with recommended or high input management, described in detail in the last What’s Cropping Up? issue of 2015. In that article, we reported that corn under high input management in the conventional cropping system averaged 167 bushels/acre across three previous crops compared with 163 bushels/acre under recommended management inputs. (http://blogs.cornell.edu/whatscroppingup/2015/11/09/corn-yield-under-conventional-and-organic-cropping-systems-with-recommended-and-high-inputs-during-the-transition-year-to-organic/). The 2015 results agreed with research that we conducted a few years ago. If you recall, we tested two hybrids (DKC51-86 and P0125XR) in 2010 and 2011, and reported that in both years, including the high yielding year of 2010 (~300 bushels/acre), recommended seeding rates (30,000 kernels/acre) and N rates (~125 lbs total N /acre following soybean) resulted in similar yields to seeding rates of 35,000 and 40,000 kernels/acre with ~175 lbs total N/acre (http://scs.cals.cornell.edu/sites/scs.cals.cornell.edu/files/shared/documents/wcu/WCUVol22No.pdf). So why once again was there no response to high input management of corn in 2015? Yield component analysis and plant N status under the 2015 growing conditions may shed some light on the lack of response. Fig.1 Stalk nitrate concentrations (ppm) of corn, averaged across the three previous 2014 crops, in two subsampled areas (1.52 m2) of each plot in the conventional cropping system under high management inputs (~35,500 kernels/acre with 145 to 185 lbs. total N/acre) and recommended management inputs (~29,600 plants/acre with 105 to 145 lbs. total N/acre) at the Aurora Research Farm in 2015. Error bars represent the standard error of the means. We side-dressed corn in the conventional management system at the V6 stage on June 26, somewhat later than normal because of the excessively wet June conditions at the Aurora Research Farm (8.00 inches of precipitation in June). Two days after side-dressing (6/28), we received 1.75 inches of precipitation, resulting in extremely wet soil conditions. The study was conducted on a Honeoye silt loam soil with tile drainage so there was very little ponding of water on the soil surface. Still something must have happened to the N based on the stalk nitrate test. 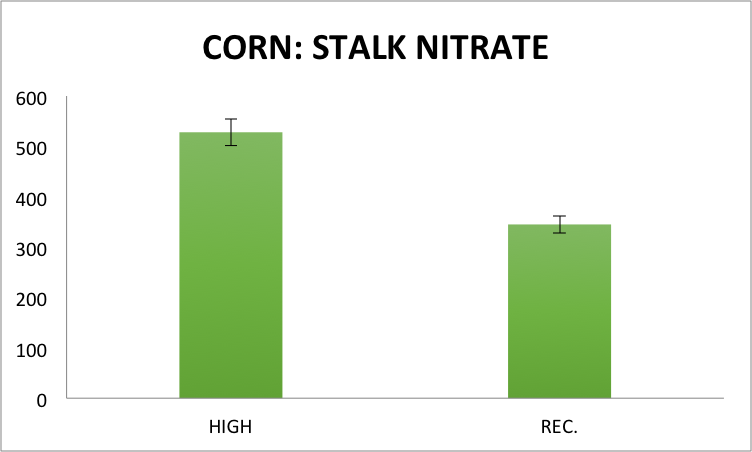 Stalk nitrate averaged only 528 ppm in the high input treatment compared with 345 ppm in the recommended input treatment, (Fig.1), both in the 250-750 ppm marginal stalk nitrate levels for maximum yield. We did sample for stalk nitrate concentrations about 4 weeks after black-layer formation instead of the recommended 0 to 3 weeks after, which could have contributed somewhat to the low values. Still it is doubtful that 1 week late for sampling would have such a huge effect, so it looks like both the high and recommended management treatments had marginal N status at harvest. The wet June conditions, especially the 1.75 inch precipitation event 2 days after side-dressing, should have favored a response to the high N management treatment. On the other hand, conditions became dry from early July through mid-September with only 2.8 inches of precipitation in July, 1.4 inches in August, and ~1.35 inches through 20 September, black layer formation. The dry conditions probably reduced the yield potential at this site (we averaged over 210 bushels/acre in 2013 and 2014 on the same fields), which probably reduced the potential yield response to elevated N rates. 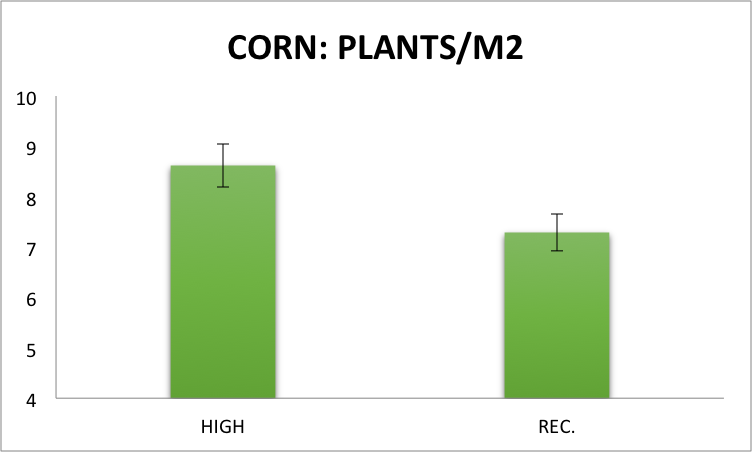 Fig.2 Corn population (plants/m2), averaged across the three previous 2014 crops, in two subsampled areas (1.52 m2) of each plot in the conventional cropping system under high management inputs (~35,500 kernels/acre with 145 to 185 lbs. total N/acre) and recommended management inputs (~29,600 plants/acre with 105 to 145 lbs. total N/acre) at the Aurora Research Farm in 2015. Error bars represent the standard error of the means. The dry conditions undoubtedly reduced the probability of a response to high seeding rates, as indicated by yield component analyses (Fig.2-5). We subsampled two 1 meter lengths of the two center rows (hand-harvested all the plants, pulled off the ears and dried them, shelled the ears, counted the kernels, and weighed all the kernels-~6000-7000/sample or 12000-14000 kernels/plot) in two regions of our 100 foot plots about a week before harvest (10/26). When averaged across the three previous crops of 2014, plant populations in the sub-sampled areas averaged 8.62 plants/m2 (~34,900 plants/acre) in the high input management treatment compared with 7.29 plants/m2 (29,515 plants/acre) in the recommended management treatment (Fig.2). Our sub-sample values were slightly higher than the final populations at the V10 stage when we counted all the plants in the two center rows along the entire 100 foot plot length (34,265 plants/acre in the high input and ~28,500 in the recommended management input treatment http://blogs.cornell.edu/whatscroppingup/2015/07/23/emergence-early-v4-stage-and-final-plant-populations-v10-psnt-values-v4-and-weed-densities-v12-in-corn-under-conventional-and-organic-cropping-systems/). Nevertheless, the estimated plant populations in the sub-sample are < 5% higher than populations in the entire plot so we believe that our sub-sample is very representative of the entire plot. 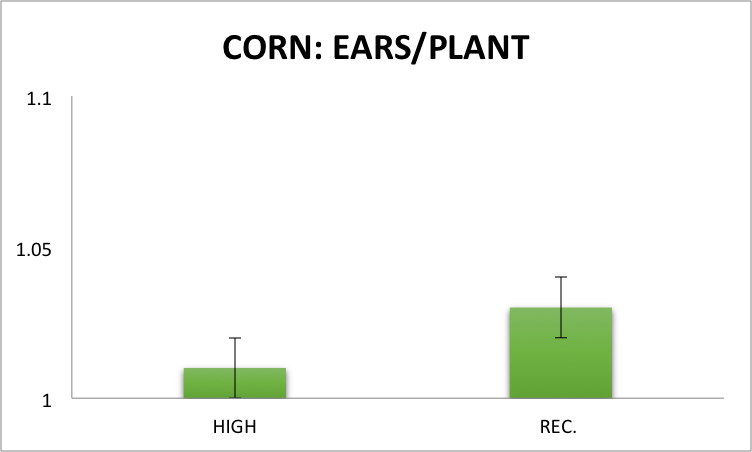 Fig.3 Ears/plant of corn, averaged across the three previous 2014 crops, in two subsampled areas (1.52 m2) of each plot in the conventional cropping system under high management inputs (~35,500 kernels/acre with 145 to 185 lbs. total N/acre) and under recommended management inputs (~29,600 plants/acre with 105 to 145 lbs. total N/acre) at the Aurora Research Farm in 2015. Error bars represent the standard error of the means. 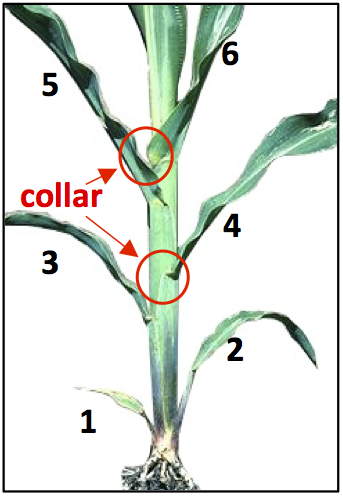 When averaged across the three previous crops, corn averaged 1.01 ears/plant in high input management and 1.03 in recommended input management in the conventional cropping management system (Fig.3). Typically, hybrids, even modern hybrids, will produce a second ear under low plant populations, although 7.29 plants/m2 is not that low a final stand. Although ears/plant were statistically different, actual differences between the two management systems were probably not of sufficient magnitude to have a major influence on final yield. 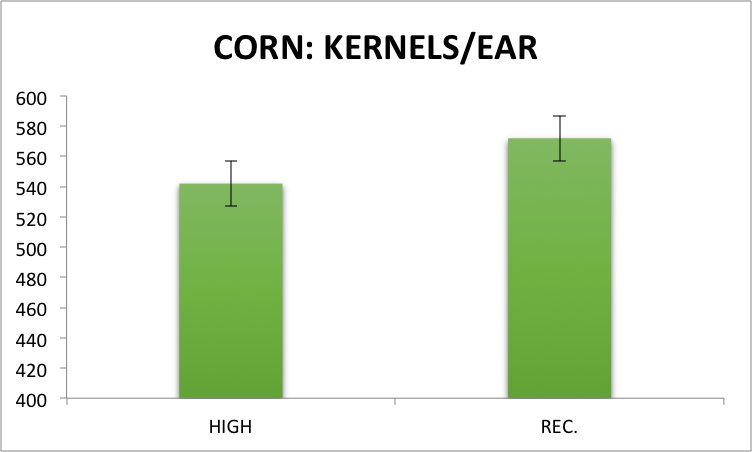 Fig.4 Kernels/ear of corn, averaged across the three previous 2014 crops, in two subsampled areas (1.52 m2) of each plot in the conventional cropping system under high management inputs (~35,500 kernels/acre with 145 to 185 lbs. total N/acre) and under recommended management inputs (~29,600 plants/acre with 105 to 145 lbs. total N/acre) at the Aurora Research Farm in 2015. Error bars represent the standard error of the means. 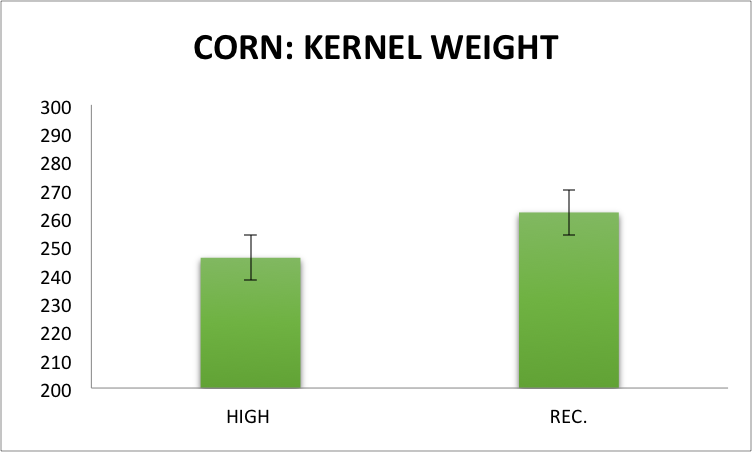 Fig.5 Kernel weight of corn, averaged across the three previous 2014 crops, in two subsampled areas (1.52 m2) of each plot in the conventional cropping system under high management inputs (~35,500 kernels/acre with 145 to 185 lbs. total N/acre) and under recommended management inputs (~29,600 plants/acre with 105 to 145 lbs. total N/acre) at the Aurora Research Farm in 2015. Error bars represent the standard error of the means. We will continue this study for two additional years and hopefully we will have growing conditions that favor positive yield responses to high seeding/N rates. Although July and August were cool at the Aurora Research Farm (2.5 to 1.5 degrees below normal, respectively), the dry conditions contributed to premature senescence of the corn crop in late August, regardless of management inputs. We have a tile drain every 33 feet on our Honeoye soil, which allows for early planting, but unfortunately accentuates dry soil conditions in August. Corn silked ~July 26-28 and conditions were not very stressful from late July through mid-August so kernel set and kernel retention probably was not affected by adverse weather conditions. But the dry soil conditions and the very warm first half of September contributed to premature senescence, which probably reduced seed weight, especially under higher plant populations. Consequently, there was no response to higher seeding rates at Aurora in 2015. If you are thinking of seeding rates above our recommended 30,000 plants, acre, make sure that you are on soils that are not droughty and the selected hybrid is known to respond to high seeding rates. So far we have not been able to find that successful combination.